This is a sponsored post on behalf of KitchenAid. As always all opinions are my own. I have the perfect vegetable pesto flatbread recipe for you today. This is one way to get all your veggies into one meal. I developed this recipe for KitchenAid and shared how to make the perfect flatbread bar. If you know me you know I love to entertain and make food “bars” for my guest. Whether it’s a taco bar, chili bar, or flatbread bar it’s what I love to do. I like to give my guest options. That’s why I love the flatbread bar. 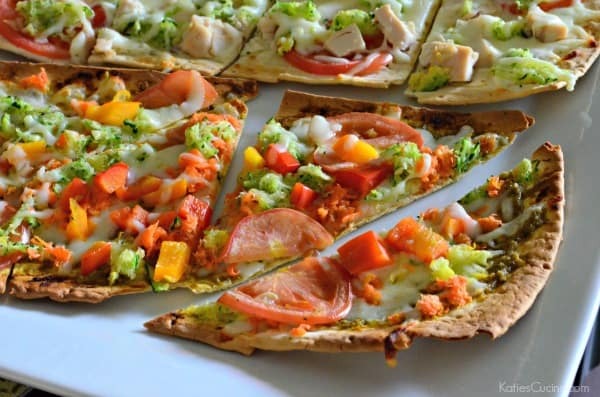 Everyone can customize their own flatbreads and everyone is happy with there dinner! 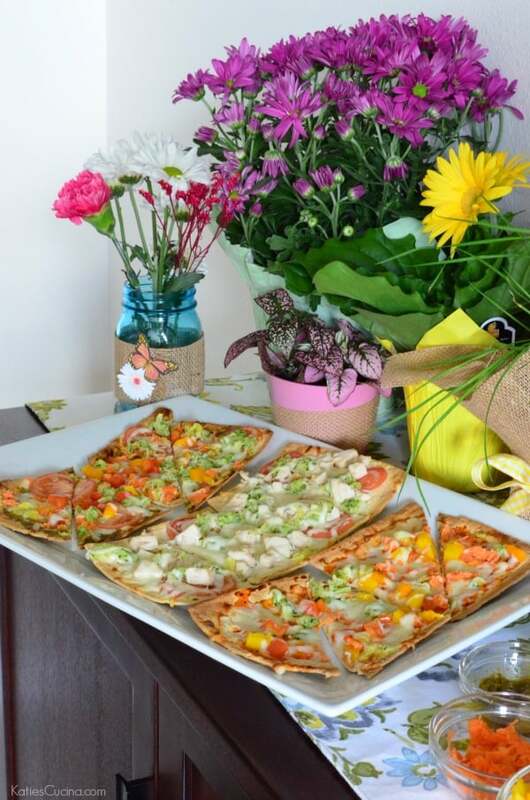 I also shared a few easy entertaining crafts to customize your flatbread bar. I utilized mason jars I Already had on hand and just spruced them up and added some fresh flowers. 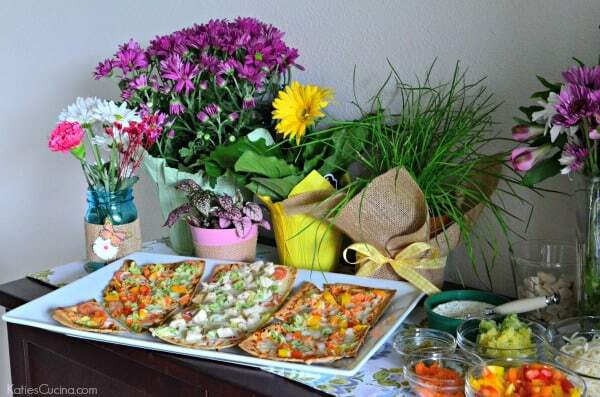 I went with a “garden” theme for this flatbread party! I also used burlap that I had sitting in my craft room. Burlap, flowers, and mason jars and my life is pretty complete! Now let’s talk about toppings. I like to put out tomato sauce, Boursin cheese and pesto as the base. You can opt to use homemade pesto or use store bought. 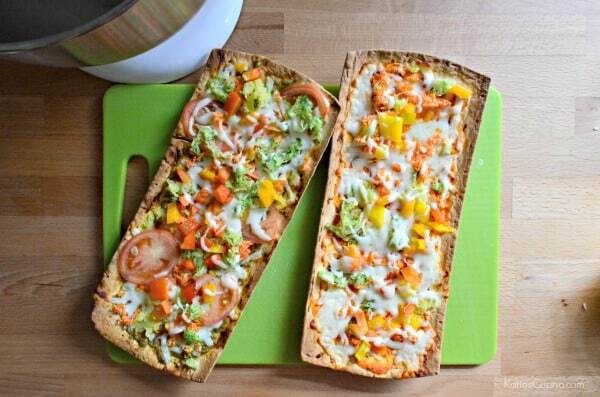 Either way this flatbread will be tasty. Then I chop up tons of veggies plus proteins like chopped rotisserie chicken, pepperoni, crumbled bacon, and Italian sausage. Lots of shredded mozzarella and some shredded cheddar and fresh mozzarella. Like I said the sky is the limit with the toppings! Head on over to the KitchenAid blog to get the full recipe for my vegetable pesto flatbread and learn how to create the perfect garden themed flatbread bar!